Discussion in 'VY Holden Commodore (2002 - 2004)' started by sixes, Dec 20, 2010. Ok, I have a VY SS series 2 Ute and would like to change the seats. The leather on the drivers seat is starting to crack a little. Will VE seats fit into a VY Ute? Will the rail system from the VY SS seat bolt to the VE seat? Awesome, thanks! I have searched but have not seen if anyone did VE into previous. Sure thing. I wasn't sure if it could be done. The VE Ute seats have a cool latch that flips the seat forward without having to readjust the back rest, would make it so much easier to put stuff behind the seat. I have to replace (or re cover) my leather seats as the drivers seat is starting to crack. 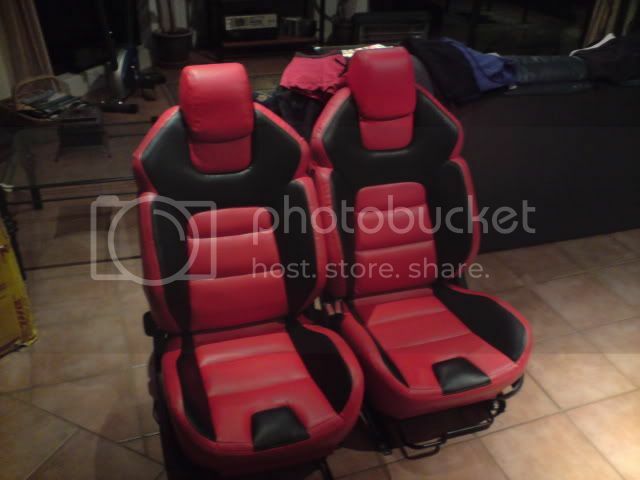 Not cheap, $3000 trade price from Holden (for both seats complete) or $1000 re done in cloth or $1800 for leather. 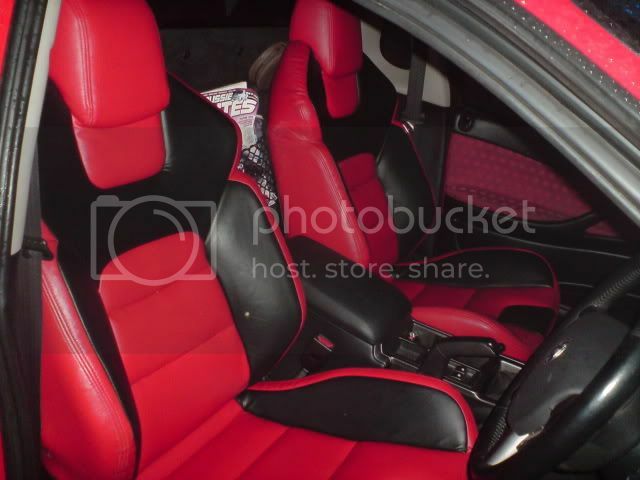 SS cloth seats only come with flicks of colour on them, not a pure black cover which is what I want. The rails can be replaced but they are not a direct 'in-out' ... a timely procedure which probably isnt worth the worry.. Dont have Holden re-trim them though... at $3000 you might as well sell yours on Ebay as damaged and buy yourself some brand newies! Yeah, I was hoping it would be an easy swap. Might just have the seat bases re trimmed? monaro and gto seats have the dump latch too. Those seats are god aweful. Looks like someone used spiderman to cover the seats. Jezza Ecotec Just Kicked In! I have a VE SS and a Series 2 VX. The seats mounts are different, I like the VE ones as they are easier to get the seats out. I want these in my vx! how much did they set ya back mate? nate-vy, can you give the sellers name for me to look please? Would save the other people hijacking. BTW the seats you have look ok with the red interior. Ill ask the seller more about them if they are a decent price. Do they have the dump latch on them or not? Kingston_99 383ci HTV2300 blown LS1!! can you send me the sellers name? thanks mate. thats the poeple i was looking for. Fark me! $1900 + freight?? ?